Every now and then, a song sneaks up and triggers a memory. It’s something buried deep in our vault, hidden behind the various phases of our musical development and our obsessions with radio singles and old records. The song is uniquely nostalgic, reminiscent of our musical coming of age. It transports us to the formative years—to the time when we began developing our own musical preferences, differentiating from our parents’, and grabbing hold of current trends. Maybe it’s rock and roll of the British Invasion, the powerful funk grooves of the 70’s, or synth-driven 80’s pop. For me, it’s the era of re-envisioned rock in the 1990’s. Flannel shirts, powerful grooves, hard-hitting drums. Listening to Nirvana at my best friend’s house, playing drums to Everclear, watching the latest Red Hot Chili Peppers music video. Lucky for me, a recent gig featured “Interstate Love Song” on the set list. The trigger. How could I forget the energy and raw power of the Stone Temple Pilots? For those of you unfamiliar with their music and the thunderous grooves of Robert DeLeo, check out this latest bass player to know. So Who Is Robert DeLeo? Stone Temple Pilots’ next record, Purple, was an immediate success due to “Interstate Love Song” and “Vasoline,” among others. The band continued to tour and released their third record, Tiny Music… Songs from the Vatican Gift Shop, in 1996. Unfortunately, Weiland struggled with drugs and personal issues that resulted in cancelled performances, multiple hiatuses, and less successful record releases. Between the late 1990s and mid-2000s, DeLeo established the side projects Talk Show and Army of Anyone, and worked with Schecter Guitars to develop his signature “Model T” bass. Currently, DeLeo remains the driving force of STP as they continue to tour and record. Behind every great rock band is a great bassist and DeLeo brings personality, musical knowledge, songwriting aptitude, and strong, technically driven, melodic playing to the mix. As one of the primary writers behind STP’s material, the music is laced with integral bass parts, including punchy, articulate rhythms and soul-inspired grooves. His use of range is particularly inspiring, as he often reaches for high melodic lines and fills that grab your attention and pick up where another instrument leaves off. His notion of “filling the space” is never overbearing, but is full of surprises and moments of brilliance. 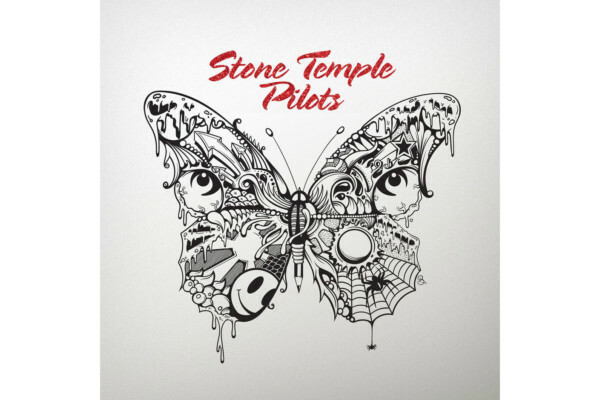 From a rhythmic standpoint, much of the Stone Temple Pilots’ material features solid rock drumming with plenty of room for the bass to speak. DeLeo often plays to the subdivisions, creating dense and energetic rhythms to drive the song and compliment the “open” sounding drums. He plays with a particularly aggressive right hand, with a clean and confident tone and attack. On some of the more mellow material, he plays beautiful long notes and grooves that are reminiscent of Southern soul music. While DeLeo often reinforces a particular lick or pedals a root note, he frequently creates bass lines that play to the chords. He has the unique ability to imply suspensions and extensions—rather than simply playing to the root, 3rd, and 5th, he embraces 7ths, 9ths, and 4ths. 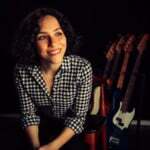 This brings jazzy sophistication to rock bass playing and mirrors some of the intricate guitar work. Featuring DeLeo’s confident and aggressive bass tone, this song was an early hit for STP, thanks to the ear-wormy opening lick. Throughout the song, he builds parts that rely on the 4th of the chord resolving to the 3rd, acting much like a guitar playing a sus4 chord to add tension and character to a simple chord progression. DeLeo shines as the driving force of this song with punchy and articulate 8th notes, quick triplet fills, and elements of funk. Channeling the playing styles of Rocco Prestia and Jaco Pastorius, his busy right hand pushes the song rhythmically, while ascending melodic lines lift the music and pick up where the vocal melody leaves off. 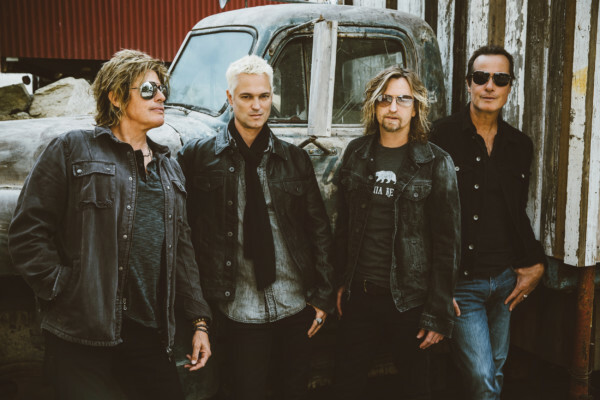 Outside of Stone Temple Pilots, DeLeo’s side projects ring true to his style and musical personality. He goes back and forth between playing unison lines with the guitar and breaking away into tasty grooves, fusing hard rock with soulful funk. His signature melodic phrases show up throughout the song and his unmistakable bass tone drives the record. How about you? What’s your favorite tune or album with Robert DeLeo? Please share with us in the comments. Nice! Robert DeLeo is a vastly underrated player, and glad to see him getting some props. Great feature on him! Thank you so much Ms. Ryan for shinning a bit of light on one of the underrated greats. Robert has been, and really still is an inspiration on my approach to bass line construction. He is a monster of a player in the whole ‘soulful, melodic, groove’ category of bass playing. What I truly dug on is Robert’s progression & growth as a contributing song writer to STP’s catalog through the years. Their last album was an awesome ‘tribute’ to some of their influences & inspirations from their musical journey. Pretty much leaving recorded proof of SOULFUL, MELODIC, GROOVY bass playing. MUCH THANKS! P.S. Indeed, much thanks for the reminder! DeLeo is great! ‘Sour Girl’ has a great bassline too. One of my favorite players of all time! Rob is a great bass player, songwriter, and super nice guy. Billy Gould would be a great topic for this column. I have every album they ever brought out. An absolute barnstorming band in their heyday, & provided a “soundtrack” to my early to mid 20’s. Along with Alice in Chains. Over the next 15 years I’ve taught myself to play a few Pilots songs- Wicked Garden, Plush, Dead & Bloated, Crackerman. And to their credit, I was pleasantly surprised by their latest release, with Chester Bennington of Linkin Park on the vocals!! The same STP rhythm & grooves were there, even without Wieland behind the mic.